By Protopresbyter Fr. Basil Georgopoulos. 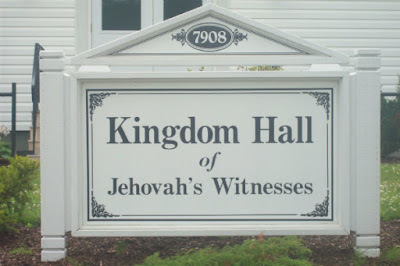 The sect of Jehovah's Witnesses is unprecedented in world history for the breadth and number of its strange and anti-scriptural eschatological cacodoxies, as well as the number of false prophecies regarding the end of the world. 1. They identify the Second Coming of Christ with the Kingdom of God. 2. The Second Coming of Christ took place invisibly in the heavens in 1914. That same year the Kingdom of God was established invisibly in the heavens. 3. They reverse historical events to serve their claims. The events referred to in the 24th chapter of the Gospel of Matthew will not precede the Second Coming, according to the Watchtower Society, but will take place after. This claim relates to another heretical position of the Jehovah's Witnesses, that Jehovah's Witnesses who were alive in 1914 must be alive. The impasse here is more than obvious. 4. The war of Armageddon is a fundamental element of their eschatological structure and at the same time a mechanism of fear. The Watchtower Society believes this literally, separates it from the Second Coming and associates it with the end of the world. 5. About the end of the world and of human history, Jehovah's Witnesses record many false prophecies, which have of course been falsified. The dates they set have been: 1872, 1925, 1972 and 1975. 6. During the earthly Kingdom of Jehovah's Witnesses on earth, the so-called "great multitude", namely the Jehovah's Witnesses who served the Watchtower consistently ad acquired "earthly hope", will live in a paradisiacal state, will get married, will build houses, will participate in educational programs, will buy food at a small price, there will be no unemployment, illness and they will not pay "small and reasonable taxes". All this refers to the organization. 7. The "little flock" with "heavenly hope", which in the terminology of the sect are the 144,000, will be co-rulers and help Christ in earthly governance of the "great multitude", who are the Jehovah's Witnesses that served the Watchtower. 8. The final judgment of Jehovah's Witnesses will be in accordance with the organization based on the conduct and faithfulness they will show during the earthly millennial Kingdom. Witnesses who divert from the statutes of Jehovah during the earthly millennial Kingdom will be ontologically wiped out. As for the rest of the Jehovah's Witnesses, we wait till today to see the position of the organization as to what will happen! Source: Orthodoxs Typos, February 2015. Translated by John Sanidopoulos.